As part of the newly expanded format of the Computer Animation Festival, SIGGRAPH 2008 will feature three all-star Production Studio Nights hosted by industry powerhouses Pixar Animation Studios, Sony Pictures Imageworks, and Lucasfilm. next five theatrical releases from June 2008 to May 2010. Already boasting a venerable Sunday-night lineup of animated hits, Fox and its corporate cousin studio, 20th Century Fox Television, are launching a new initiative geared toward primetime animation development. THIS science-fiction number by Appleseed producer Fumihiko Sori has ingredients that anime fans will appreciate: a dazzling hybrid of 2D and 3D animation, heady action scenes and jaw-dropping images of a futuristic world and the brilliant technology that drives it. Lost artworks by Disney animators have been restored to America after being discovered in Chibo University, Japan. The works, hand-picked by Walt Disney, were sent to Japan in 1960 as part of an exhibition which coincided with the opening of Sleeping Beauty. The media and entertainment (M&E) industry estimates that while 63 per cent of the revenues for a film are generated from the box office and around 13 per cent from home video sales, other sources contribute anywhere between 2 and 25 per cent of a movie’s earnings today. Industry experts at FICCI-FRAMES 2008 said that Bollywood has been quick to cash on the various emerging opportunities to make money. Eddie White dreamed of starting an animation studio while still a budding 14-year-old artist at school. Running on enthusiasm, talent and passion, he has not waivered from his dream. With friends James Calvert and Hugh Nguyen, he started The People's Republic of Animation (PRA) in 2003 while studying drama at university. US entertainment giant Walt Disney on Thursday unveiled pilot versions of television animation series it is producing in first-of-a-kind tie-ups with Japanese animation studios. The move, first announced earlier this month, marks a change of strategy for Disney, which has traditionally distributed US-made characters Mickey Mouse and Donald Duck around the world. Creative Screenwriting, a widely read and highly referenced magazine publication for those in-the-know of Hollywood screenwriting and direction trends, has announced the sale of a DVD release dedicated to animation. Hoping to serve as a sort of catch-all guide for curious writers to lend their hand to the film or television spheres of entertainment, the DVD release "Secrets of Animated Movies & TV Shows" by Ken Rotcop (Richie Rich, Superfriends, Charlotte's Web) claims to tackle everything from graphic novel adaptations to Disney-Pixar styled scripts. When Stephen Jennings landed in California, he quickly shed his Iowan roots. His first job carried the only-in-L.A. title of "assistant flame artist." The hauntingly beautiful and melancholy "Peter and the Wolf" is the class act to catch tonight on PBS. Airing as a "Great Performances" presentation at 8 p.m. on WEDU, Channel 3, this 30-minute work was this year's Oscar winner for best animated short film. MUMBAI: The Indian film animation space has seen a lot of activity and interest from players in recent times. Companies like Percept Picture Company, Shemaroo Entertainment, DQ Entertainment, Pritish Nandy Communications, Adlabs, to name a few will all have their animation films releasing in the next couple of years. Dan Barker has come home to Mzansi from New York to promote the animated cartoon "Horton Hears A Who", which starts on the movie circuit on Friday. Animation company Blue Sky Studio’s newest film is based on a Dr. Seuss book. It continues the magic we’ve been led to associate with them, such as "Ice Age" and "Robots". Animator Mike Hollenbeck reaches into the miniature native Indian village and grabs a puppet's jaw, moves it slightly, then hits a button on his computer that activates a camera. He hits another button, which replays the last three frames of film shot for this scene, so he can check that the character's movements are smooth. "You have to be careful with every move," says Hollenbeck, who is animating by stop-motion a scene of campfire dialogue. "It kind of feels like defusing a bomb." The best animated short film nominees for the Goya Awards have been announced. The Goya Awards are the equivalent of the Spanish film industry’s Oscars. The critical and box office success of Robert Zemeckis's latest motion-capture animated film, Beowulf, made at Sony Pictures Imageworks, confirms that movie-going audiences are seeking new and improved experiences on the big screen. Where is the line on animation? The tagline for Disney's upcoming "Enchanted" could well be the motto for the latest push in animation: "The real world and the animated world collide." Not in the slapstick tradition of 1988's pioneering "Who Framed Roger Rabbit?," but in the sense of transforming actors into animated characters and vice versa. 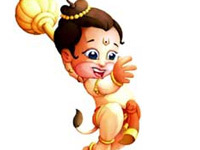 There is a cyclone brewing in India’s animation film industry, after ‘Hanuman’ took the Indian film industry by storm. Many animations films are taking shape in studios, with big budgets riding on them and industry insiders claim that close to 10 such films will be ready for release in India in 2008. Here’s a peek at what viewers can expect. Bill Desowitz speaks with Oscar-winning visual effects supervisor Joe Letteri about staying on the cutting edge of digital acting and 3D environments at Weta Digital. Ellen Wolff speaks with Mat Beck of Entity FX about raising the VFX quotient in the sixth season of Smallville. Shane Acker discusses his award winning film "9"
AnimationTrip Exclusive! Of all the mediums in animation, it is clay that offers a sensual experience for the animator and the audience. Clay animator Bruce Bickford is profiled in the award-winning documentary currently appearing at festivals called Monster Road . He has appeared on panels with Ray Harryhausen, Henry Selick and John Lasseter. His extraordinary stop-motion talents are featured in the teaser trailer for Feats of Clay . Read part one of our profile on Bickford here. Let's face it - in terms of animation, Flash is rather simplistic. What do you do when your animation skills surpass the capabilities of Flash? Toon Boom Animation may have the solution for you. Fred Galpern explores the latest in digital art wonders from Ballistic Publishing with his overview. You can buy these amazing books in our online store! Check out our previous headlines here!